The committee held that the plant shut-down “is not sustainable as it is against the principles of natural justice”. On July 30, the court had refused to grant any interim relief to Vedanta, which had challenged the Tamil Nadu government's order to permanently shut down the Sterlite plant, even as the firm termed the government action "political". 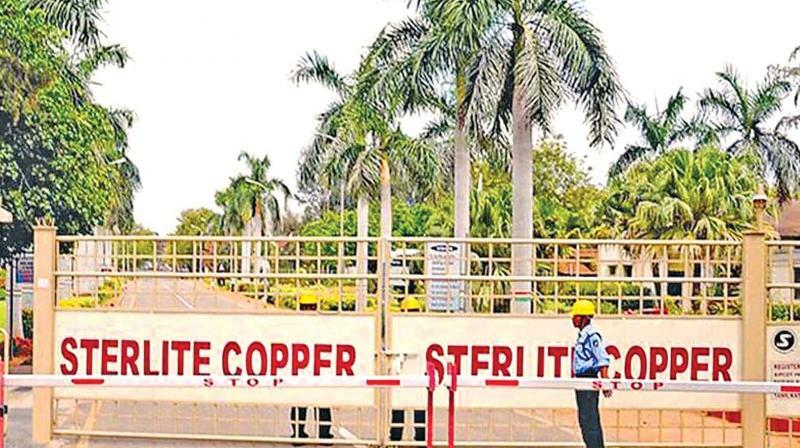 New Delhi/Chennai: A committee constituted by the National Green Tribunal to decide mining major Vedanta’s petition against the Tamil Nadu Government order closing down its Sterlite copper plant at Tuticorin has held that the plant shut-down “is not sustainable as it is against the principles of natural justice”. The committee, headed by former Meghalaya High Court Chief Justice Tarun Agrawal, said no notice or opportunity of hearing was given to Vedanta before ordering the closure. “The impugned orders cannot be sustained as it is against the principles of natural justice. No notice or opportunity of hearing was given to the appellant. The grounds mentioned in the impugned orders are not that grievous to justify permanent closure of the factory. Other issues raised also do not justify the closure of the factory even if the appellant was found to be violating the conditions/norms/ directions,” the committee told a bench headed by NGT Chairperson Justice Adarsh Kumar Goel. Taking note of the Goel report, the NGT directed that the soft copy of the report be furnished to counsel for the company, Tamil Nadu, Tamil Nadu Pollution Control Board (TNPCB) and the Central Pollution Control Board by an email. “The interveners would be at liberty only to assist the State Counsel and not to individual hearing. At this stage only a copy of the report be furnished, as earlier directed. It will be open to the parties to file any submissions with respect to the report or otherwise, within one week from today. The parties may exchange their respective submissions,” the bench said. The matter is now listed for consideration on December 7. The panel also said that in the event the tribunal is of the opinion that the factory should commence production, the committee is of the opinion that it should be directed to monitor ground water quality, including heavy metals such as Arsenic, Cadmium, Silver, Copper, Fluoride in and around the factory premises and nearby villages once a month and such report should be furnished to the TNPCB. “The sampling of the above should be taken in the presence of an official from TNPCB. In addition, the sampling of effluent/emission and solid waste should also be done by a monitoring group to be constituted by TNPCB comprising a representative of the district collector, an official of TNPCB, NGOs and academicians. "Both the reports should be sent by TNPCB to CPCB for analysis. Recommendations made by CPCB should be followed. Copper slag dumped at all the 11 sites, including the Upper River, should be removed. If Copper slag has been used for landfill purposes, then the excess amount of the slag over and above the level of ground would be removed and thereafter the landfill should be compacted with one feet of soil so that the Copper slag is not blown away by the strong winds," the committee said. The panel also recommended that the company before disposing Copper slag, gypsum, any other waste product will seek previous permission from the TNPCB. "Application of the company for obtaining valid authorisation for disposal of hazardous waste under the Hazardous and Other Wastes (Management, & Transboundary Movement) Rules, 2016 should be disposed of by the TNPCB in a time-bound manner," the panel said. The NGT had earlier said a credible mechanism, through which rival contentions can be balanced and final view taken, has to be evolved. The green panel had said the committee, which include representatives of the Central Pollution Control Board (CPCB) and the Ministry of Environment and Forests, may visit the site and consider technical data. It had noted in its order that it cannot be ignored that the Copper smelting plant contributed to Copper production in the country and employed 1,300 people. The green tribunal had asked the committee to submit its report and said the matter be listed for hearing on receipt of report of the panel. It had directed TNPCB to provide logistic support to the committee and said their remuneration would be determined by the state. On August 9, the tribunal had allowed Vedanta to enter the administrative unit inside its Sterlite copper plant at Tuticorin, observing that no environmental damage would be caused by allowing access to the section. The green panel had, however, said the plant would remain closed and the company would not have access to its production unit and directed the district magistrate to ensure this. On July 30, the court had refused to grant any interim relief to Vedanta, which had challenged the Tamil Nadu government's order to permanently shut down the Sterlite plant, even as the firm termed the government action "political". On July 5, the tribunal had issued notices to the state government and the pollution board seeking their responses after Tamil Nadu raised preliminary objections with regard to the maintainability of Vedanta's plea. The Tamil Nadu government had, on May 28, ordered the state pollution control board to seal and "permanently" close the Sterlite plant following violent protests over pollution concerns. Earlier in April, TNPCB had rejected Sterlite's plea to renew the 'Consent To Operate' certification, saying the company had not complied with the stipulated conditions. At least 13 people were killed and several injured on May 22 when police opened fire on a huge crowd of protesters at Tuticorin demanding closure of the Sterlite plant for alleged environment pollution.